Kumble, Feb 8, 2017: Officials of the Excise Department arrested a man from near Kumble railway station for possessing ganja worth Rs 40 lakh. Ratish (30) from Thiruvananthapuram was the accused; police sources say that he was the main person through whom ganja was being distributed to various areas in the district. 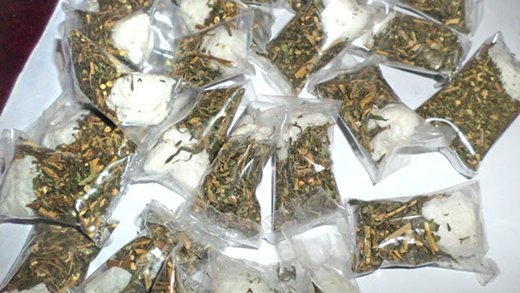 The ganja found weighed about 18.750 kgs and was stored in sachets. Further details are awaited. Is the man arrested just for Naam ke vaste. There are so many held but later what happens nobody knows. People take it easy as if you bribe with some percentage naturally the impossible will become possible .